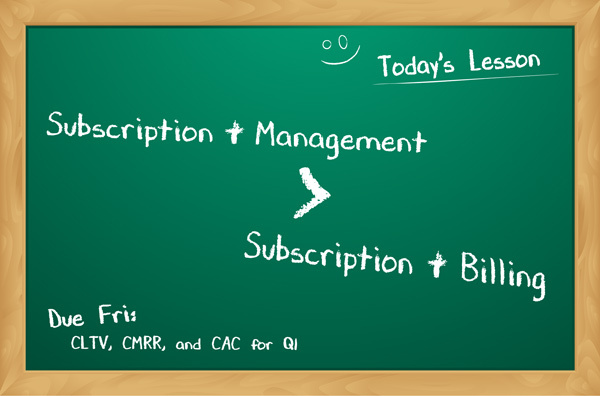 We need to be clear that “subscription management” and “subscription billing” are NOT the same. Subscription billing equates to putting a charge on an invoice at a defined frequency. And that is pretty easy to do. Handling one time charges for hardware / installs // …. These are only a few of the items that come to mind. Simple subscription billing isn’t enough anymore. If it isn’t providing consumption visibility or automating key triggers in the subscription lifecycle, then how can your business model sustain the high growth and low churn needed to drive top-line revenue growth? Subscription management is about more than regularly adding charges to invoices. The next level of service monetization for IoT businesses means building business ecosystems with platforms ready for the opportunity!